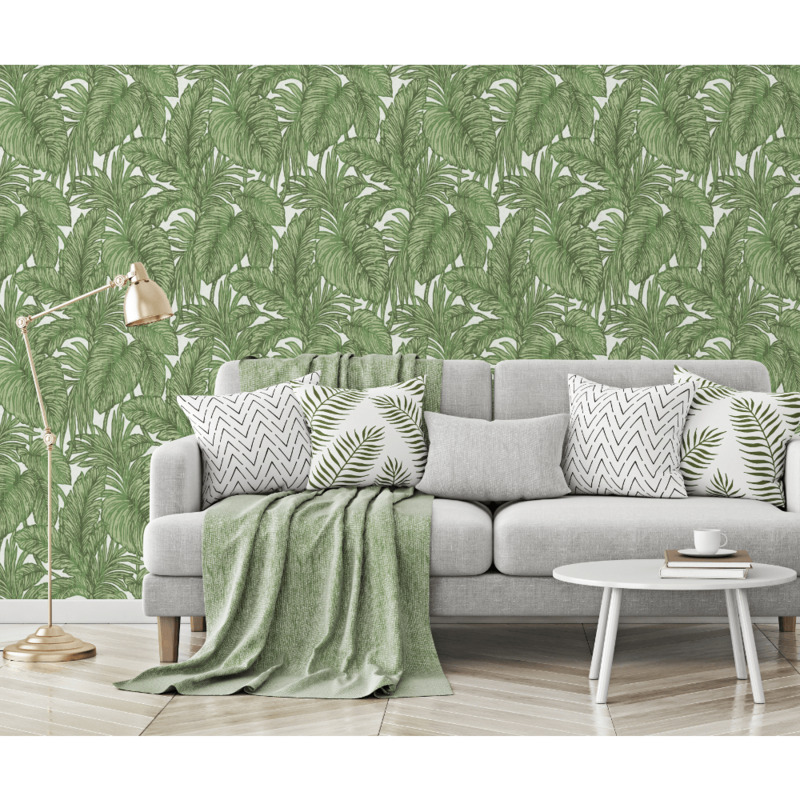 Add a touch of style to your home interior with this stunning Botanical leaf inspired wallpaper from Erismann designers. This wallpaper features bold botanical leafs with metallic highlights running throughout the paper. The Botanical leaf wallpaper can be used as a feature wallpaper paired with complimenting colour paint or wallpaper. This print is made of high quality non woven material which allows easy application on the walls.